An assessment of capacity for intake and adoption along the Northeast corridor from New Jersey up to Maine and the known need for assistance in shelters in the Southeast coupled with St. Hubert’s experience with the established NJ Sister Shelter Program, made it clear that the development of this WayStation Program would greatly impact lifesaving by ending the euthanasia of healthy, adoptable dogs of all ages. The WayStation Sister Shelter Program is leading the way for shelters in the Northeast who have both the capacity and the potential adopters to accept animals from overburdened organizations where lower population density and a lack of affordable, accessible spay/neuter services result in homeless dog numbers that far exceed available homes. The transfer effort is unique because while it is large in area coverage and number of animals it is not operated by a mammoth organization with unlimited resources, but rather is borne of the combined efforts of small to mid-size shelters who share a common mission. The network of destination partners has achieved great success with canine spay/neuter, adoptions and retention in the home in their communities. Like St. Hubert’s, none of them are content to rest on those laurels when there are animals elsewhere in need and all partners share the philosophy that compassion knows no borders. The program helps older dogs, animals with special needs and larger dogs as standard operating procedure, not just puppies. All are committed to providing a “hands-up” to those in areas where dogs are at risk at shelters operated by the same kind of dedicated, motivated colleagues constrained by demographics and extremely limited resources. All partners adhere to “Above and Beyond Best Practices” in their sheltering and transport protocols. Destination shelters donate $25 for every dog they welcome into their care, earmarked for low or no cost surgeries for local pets. 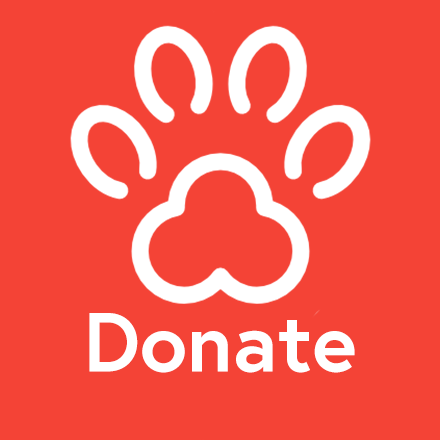 This Give Back component, which is a requirement to become a WayStation destination partner, ensures that every adoption results in more pets being spayed/neutered in the source communities. Source partners, accustomed to having to stretch limited resources on a daily basis, customize their usage of funds to optimize the benefit. From the program’s inception in August 2016 through the 3rd quarter of 2018 more than $220,000 from St. Hubert’s and WayStation destination partners has been invested in spay/neuter in source shelter communities, addressing the root cause of overpopulation in their regions. *Average - Taken from weekly number of animals transported. Our "hands up" approach provides additional support to source shelters beyond the "Give Back" component. For more on the program inception, philosophy and progress see Heather Cammisa's featured blog on Animal Sheltering Online. Modern Transport Vehicles Carry WayStation Passengers in Comfort and Safety.